Rio Tinto and Mongolia have signed a deal for the supply of power to the miner's giant copper mine extension at Oyu Tolgoi by mid-2023, with both sides saying the framework agreement marked a step forward after a protracted dispute. The Oyu Tolgoi project is central to Rio Tinto's push to diversify its portfolio away from iron ore, but it has faced a series of challenges as Mongolia's fragile government wrangles over how to maximise benefits for the country. The Mongolian government says the agreement was "a significant step towards enhancing the efficiency of the Tavan Tolgoi coal mines. The government of Mongolia owns 34 percent of Oyu Tolgoi with the remainder held by Turquoise Hill Resources, which in turn is 51 percent owned by Rio Tinto. In a joint statement with Oyu Tolgoi, the Mongolian government said the agreement was "a significant step towards enhancing the efficiency of the Tavan Tolgoi coal mines," and to supplying the wider region with domestic power. The statement said the partners would also consider how to incorporate the use of renewable power. 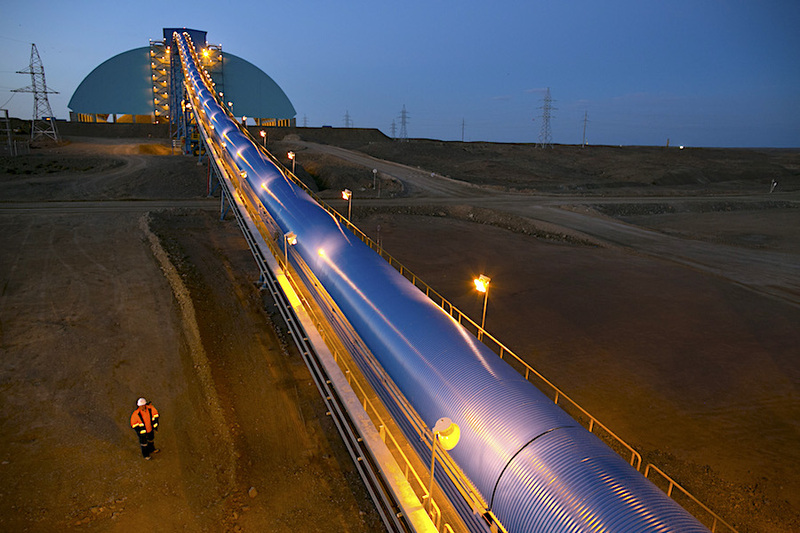 Oyu Tolgoi would be the majority owner of the power plant, with funding possibly including third party debt, the statement said, without giving further details. Analysts welcomed the deal but said the 2023 deadline looked optimistic. "This was the last major hurdle for the underground production," Badral Bontoi, chief executive of Mongolia-based market intelligence group Cover Mongolia, said. A Mongolian government spokesman said the agreement was the first step to retain in the country the estimated $150 million Oyu Tolgoi currently pays China for electricity each year, with the figure set to rise when the underground extension comes online. Rio Tinto in July entered agreements with three Chinese contractors on designing a power station to supply Oyu Tolgoi. On Monday, a spokesman declined to comment on the status of those tenders. Rio Tinto's shares have fallen by around 5 percent this year and were down 0.9 percent on Monday.